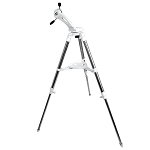 Stable and smooth, the new Twilight II Altaz Mount comes with a dual mount head, and a heavy-duty adjustable-height tripod designed for years of rugged use. Now includes Pier Extension!! 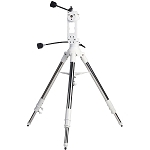 You can use one or two telescopes simultaneously on the Twilight II. Probably the questions that we are asked most is, "Why use two telescopes on a mount at the same time?"... 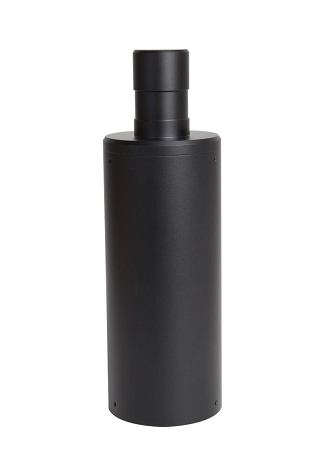 Well many of our friends own more than one telescope, and it is fun to compare them side by side. It also works very well with crowds during astronomy outreach nights, allowing the host astronomer to keep one of the telescopes aimed while the people in line take a look through the other. Of course you can use just one telescope on the TwiLight II. Our largest and heaviest telescope, the DAR152 (six-inch doublet), works fine without counterbalancing the other side. 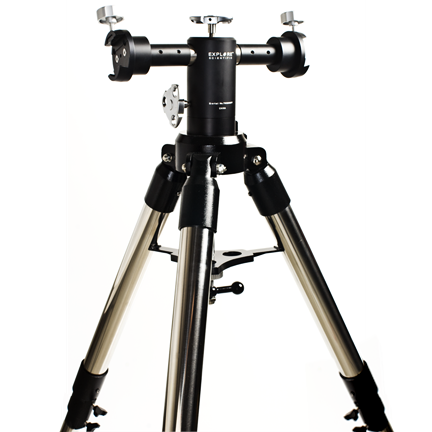 The dual mount head accepts all Explore Scientific telescopes, and most other telescopes that use a Vixen-style dovetail mounting plate.